EcoLogic completed an assessment of the status of watershed management in the 24 New York counties with surface waters tributary to Lake Ontario. The assignment included establishing benchmarks for water quality (eutrophication, habitat degradation, dissolved oxygen, suspended solids, pathogens, toxic substances, and non-native species), assessing the existing matrix of programs and responsibilities, identifying areas for collaboration, and recommending priorities for integrated watershed management. An extensive program of interviews with stakeholders within the basin is part of this assignment. A final report was prepared for wide distribution. 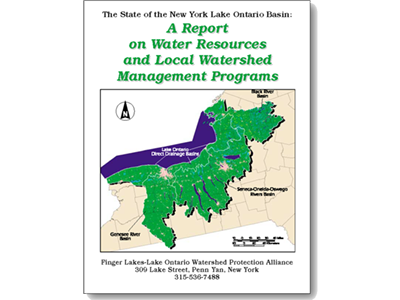 View the Report on Water Resources and Local Watershed Management Programs (PDF).